An ombudsman is a volunteer advocate who works with nursing home residents to help ensure that the care they receive meets established standards and that complaints about facilities are investigated. Complaints investigated by Florida’s Ombudsman Program include issues related to health care, safety, abuse and any other factors that might detract from the quality of life of elderly or vulnerable nursing home residents. The Ombudsman Program’s volunteers investigated more than 9,000 complaints in 2010. That number exceeded the volume seen in any of the organization’s 35 years of operation. In the U.S., nursing facilities are home to more than 1.3 million people. Here in Florida, more than 71,000 people reside in nursing homes. Nursing home residents are admitted to such facilities because they are unable to care for themselves. They are likely to need help with most of the activities of daily living – moving about, dressing, eating, personal grooming, and getting to the bathroom. That means that residents are likely to be weak and unable to protect themselves if nursing home staff or others try to harm them. At Associates and Bruce L. Scheiner, Attorneys for the Injured, our Fort Myers and Naples nursing home abuse attorneys are strong advocates for those who are unable to speak for themselves. We believe that our nation’s elderly people must be treated with the dignity and respect they deserve. When nursing home residents suffer intentional harm at the hands of those entrusted with their care, our firm’s personal injury and wrongful death lawyers know how to provide the kind of aggressive representation needed to stop abuse and see that abusers are held responsible for their actions. Our Naples and Cape Coral nursing home abuse lawyers know that abuse is often thought of as physical harm. That’s true, but abuse can also be emotional, sexual, and financial. Physical abuse might include pushing, hitting, shaking, slapping, with-holding of food or water, inappropriate use of medications, and other acts. Emotional abuse involves threats, insults and any kind of verbal attacks that cause anguish to a nursing home resident. Emotional abuse might also include isolation and treating a resident as if he or she wasn’t deserving of respect. Sexual abuse involves any sort of unwanted sexual contact, and financial abuse occurs when others take money or assets from a nursing home resident without permission – cashing or diverting checks, forcing residents to sign legal documents, forcing will changes, and the like. 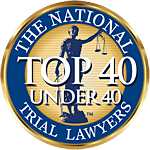 Fort Myers nursing home abuse lawyers at Associates and Bruce L. Scheiner, Attorneys for the Injured, know that abuse and neglect also can occur when nursing home personnel don’t attend to residents’ needs effectively. Elderly or weak individuals who are unable to turn over in bed are subject to bedsores if staff forgets to turn them or ignores them. Bedsores can rapidly worsen, leading to the life-threatening condition sepsis. Falls are a hazard for nursing home residents when nursing home personnel don’t provide help with walking or transferring from beds to chairs. The Centers for Disease Control and Prevention confirms that about 1,800 nursing home residents lose their lives every year because of injuries from falls. In Florida, the state’s Agency for Health Care Administration is responsible for inspecting and licensing nursing homes and other health care facilities. AHCA cites nursing facilities that it finds to be in violation of the standards of care and facility maintenance set up by state law. In 2010, AHCA cited 184 nursing homes across Florida for deficiencies in care. Among the leading deficiencies were failure to provide care that met professional standards; unacceptable conditions related to food storage, preparation and service; failure to maintain acceptable infection control programs; issues with residents’ care plans; and problems related to medications. At Associates and Bruce L. Scheiner, Attorneys for the Injured, our nursing home abuse lawyers in Fort Myers, Cape Coral, Naples and other communities throughout Southwest Florida offer nursing home residents and families concerned about elderly loved ones in nursing homes a free case evaluation. If you aren’t able to come to one of our offices to discuss your concerns, our personal injury and wrongful death attorneys will come to your home or your nursing home to talk with you. We are committed to providing you or your loved one with the strong advocacy they need to put a stop to nursing home abuse. We also believe that aggressively pursuing damages for abuse victims helps to ensure that the facilities and individuals involved are held liable for their actions. In that way, action you take for yourself or your loved ones may help all the residents of a facility. Call Associates and Bruce L. Scheiner, Attorneys for the Injured, today to request your free consultation. You pay us nothing unless we recover compensation for you.